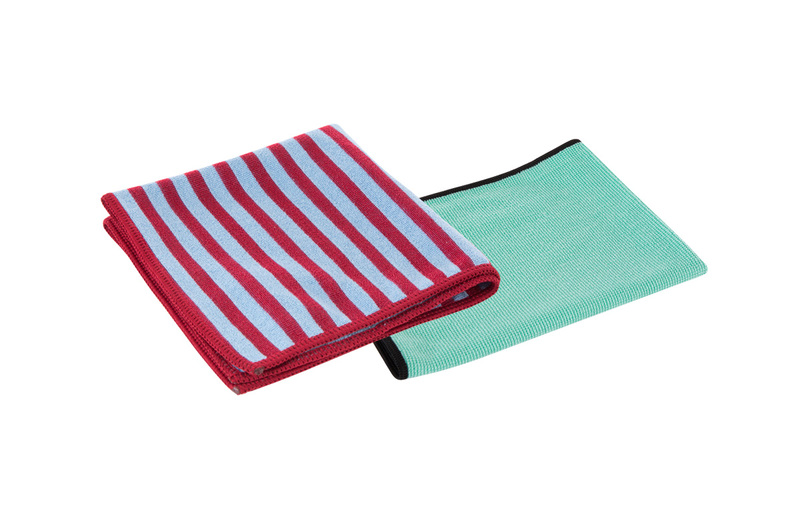 Ever wondered why loads of people swear by microfibre cloths for dusting but won’t use them for wet mopping? Well here’s the rub – so to speak. As a starting point, perhaps it would be good to explain the difference between microfibre cloths and mops and the old pair of ‘pants’ that get ripped up and used to clean around your home. All fabrics are made of thread, yarn or filaments and the number of filaments/threads per square metre will determine how much liquid the cloth will absorb. In order to provide a measure of this the industry uses units called Decitex to measure the mass in grams per 10,000 metres of filament. In general, the higher the Decitex number, the thicker the yarn and lower number of filament ends and therefore the lower the liquid absorption. A cloth or mop is described as microfibre only if its mass is less than 0.11mg/metre. Cheaper microfibre cloths and mops have a very high Decitex count typically above 1 and this means that the mass of the yarn will be 1g per 10Km and therefore thicker yarn with less ends. Super high quality microfibre will be made from 0.5 to 0.22 Decitex yarn, which means there are many more filaments and ends with a corresponding massive increase in absorbency. Lower quality cloths are cheaper to produce, will typically snag on the skin, will not absorb much liquid and will disintegrate after a couple of washes. However, they are cheap to buy, but at the high environmental cost of constant disposal to landfill or incineration. Higher quality cloths will absorb up to four times their weight in liquid and will last for several years, making them cheaper in the longrun than low quality cloths. The ECO.3 microfibre range are not only high quality cloths manufactured from 0.22 – 0.5 Decitex yarn which means super absorbency, they are much more hard wearing and guaranteed for a minimum of 300 washes. This means that they will give good service for several years. Once you believe they have worn out we ask you to return these to us for recycling, but the story does not end there. Fatal for dirt and grime that is! The method employed to manufacture the ECO.3 microfibre range imparts a high positive electrostatic charge to the filaments, which remains throughout the life of the cloth. Let’s consider this charge in terms of a magnet’s North Pole (+ve). All dirt, dust and debris normally carry a weakly negative electrostatic charge – so let’s consider this as a magnet’s South Pole (-ve). 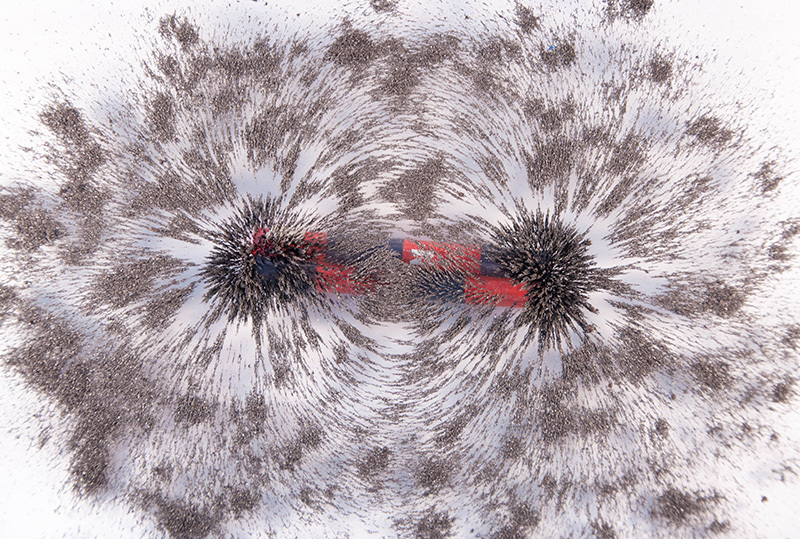 As we can see from the magnet image below, lines of force always exist between a North and South Pole, illustrated here using iron filings which follow the lines of attraction. So, looking at the attraction between cloth and dust we can see that when dusting using microfibre, the many millions of charged filaments (+ve) attract the dust particles (-ve) easily and hold them within the structure of the cloth. 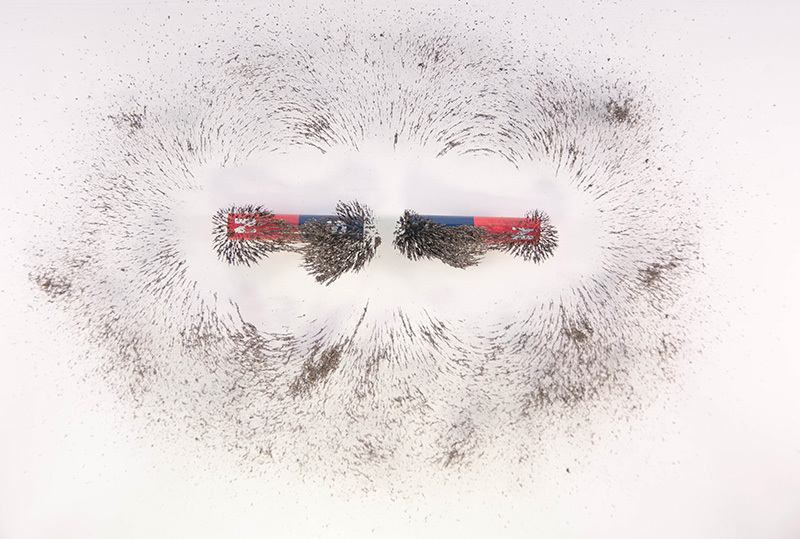 The difficulty occurs when adding a cleaning solution to the dirt and cloth – what happens to our magnet then? Most cleaning solutions, sprays and disinfectants are positively charged. This appears to make sense when you think that dirt and grime typically carry a weak negative charge. The theory is that the cleaning solution will attract the negative dirt and hold it in the positive liquid. The trouble is that you now have a positive cleaning solution and a positive microfibre cloth, that will certainly absorb some of the liquid but will repel (force away) some solution which is left on the surface as residue. Take a look at the image below. Two South Poles (-ve and -ve) actually repel each other which leaves more dirt on the surface and less removed in the microfibre. An additional problem here is that the residue retains a positive charge, which attracts more of the negative dirt and grime. This sticks to the surface and so the surface becomes dirty again very quickly. You may have experienced this problem yourself when you clean a carpet or sofa for the first time after years of service and afterwards it becomes dirty again very quickly. At ECO.3 we don’t do positively charged cleaning solutions. All our solutions are engineered to be in magnetic opposition to our world class microfibre products. In other words, we manufacture cleaning solutions that carry a negative charge. When applied to the surface they surround the dirt and our negatively charged natural micelles smash into the dirt and grime, dislodge it from the surface, and hold it in the surrounding negative solution awaiting removal. Then we apply our super positively charged microfibre cloth or mop which attracts and absorbs the fluid along with all the dirt, oils and grime. Because of the magnetic attraction and super high absorbency, very little liquid residue is left behind on the surface – so the surface is visibly cleaner. And here comes the best bit; not only do you have a cleaner surface, the surface retains a negative charge from the cleaning solution. This charge repels (forces away) dirt and grime and so the surfaces remain cleaner for longer. 1. Super positively charged, high quality, re-useable microfibre. 3. More dirt removed = better cleaning and surfaces remain cleaner for longer. The future is here. 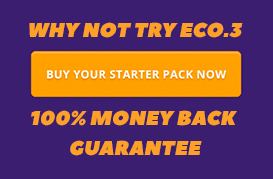 ECO.3 makes cleaning simple, straightforward and safe. You save money, make tasks easier and better still, surfaces sparkle for longer. Look at the science, do the maths and make a decision to change to ECO.3 for a brighter future.